WATCH VIDEO: Sharon Jones previews experiments from the free “Science of Harry Potter” workshops she teaches through the Library NExT program. 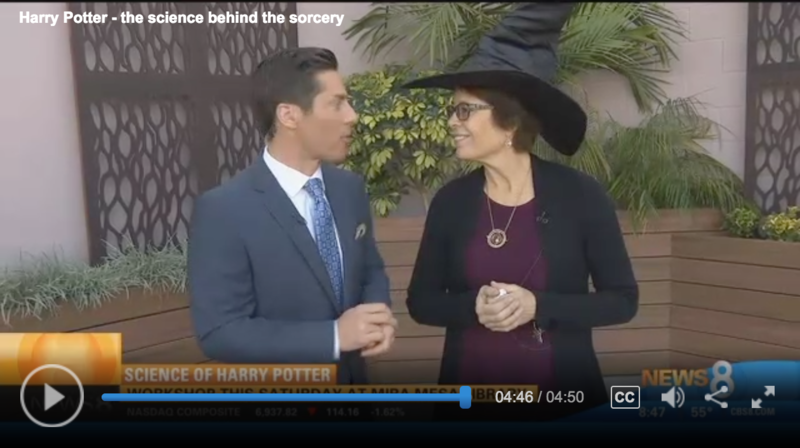 SAN DIEGO (NEWS 8) – Love Harry Potter? How about learning the science behind the books. The free library NExT workshop lets middle school students explore the science and magic of the world of Harry Potter through videos, discussions, and group play-acting. Some of the topics will include genetics and trait prediction (parseltongue, giants, squibs); acid/base chemistry (Marauder’s Map); fantastic beasts; and herbology.